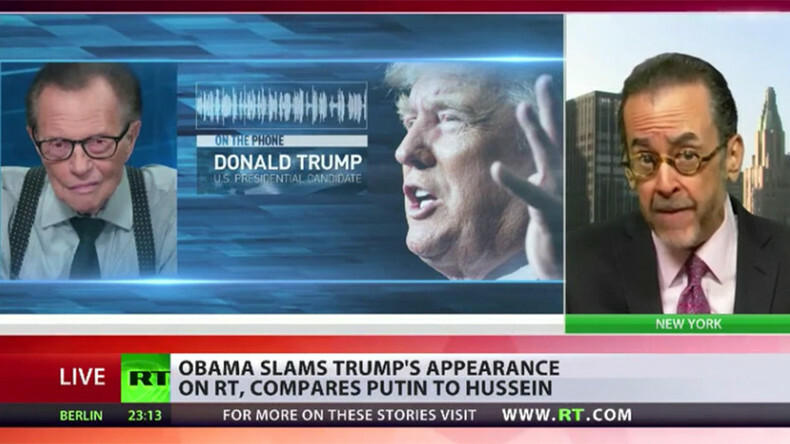 Barack Obama slammed Donald Trump for his appearance on RT last week, accusing the Republican nominee of trying to “curry favor” with the Russian president, whom he compared to Saddam Hussein in one of his harshest comments yet about Vladimir Putin. Obama blasted Republican Presidential nominee Donald Trump for offering a soundbite to the Larry King Politicking Show that airs on RT. “When the interviewer asks him [Trump], ‘why do you support this guy [Putin]?’ He says, ‘He is a strong guy. Look, he’s got an 82 percent poll rating.’ Well, yes, Saddam Hussein had a 90 percent poll rating. 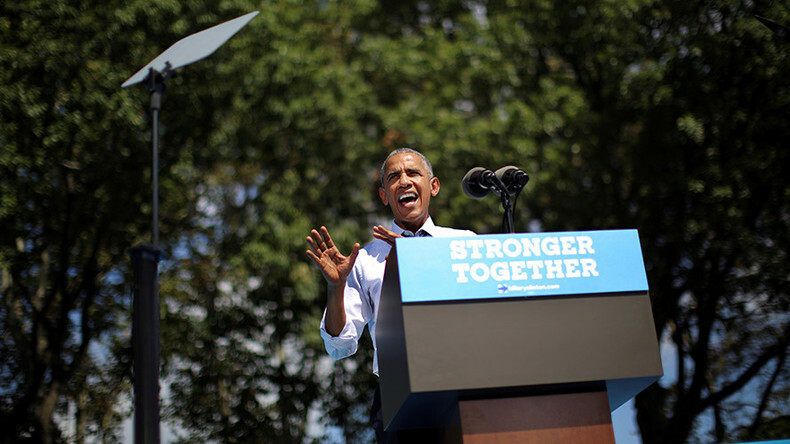 If you control the media and you’ve taken away everybody's civil liberties, and you jail dissidents, that's what happens,” Obama claimed, addressing the crowd at a Hillary Clinton campaign event in Philadelphia. It’s not the first time that the name of Vladimir Putin has been brought up in the US presidential campaign, but this time the US president used this 'argument' while openly campaigning for Clinton against Trump. The situation has become “really ludicrous and it borders on the ridiculous,” believes Gregory R. Copley, editor of Defense & Foreign Affairs. “In my 50 odd years covering the US government, I have never seen this level of partisanship within the administration where a sitting president actually regards the opposition party as the enemy of the state,” Copley told RT. “The message which Donald Trump delivered on RT was unambiguous in his campaign. Just like the fact that WikiLeaks revelation of the hacked emails was very explicit in showing up what the Democratic party itself was doing,” Copley added. Barack Obama made a mistake when he diverted public attention towards Trump’s interview with Larry King and gave the Republican candidate some free publicity, media personality Lionel told RT. “Larry King does his show for the organization called ORA that gets covered on RT. What are we talking about here? Larry King that is the issue. Larry King has talked to every human being on the planet at one time or the other,” Lionel told RT. Discussing Obama’s belligerent comparison of the Russian leader, Lionel said that the US leader’s reference to Putin and Hussein was a failed attempt to sway undecided voters to vote for the Democrats. “I promise you nobody came home and said: ‘You know what, I’m voting for Hilary because I heard today a juxtaposition between Putin and Saddam Hussein! That’s all I needed to hear!’” Lionel said. Obama’s attempt to use Trump’s interview on RT as a “battering ram” in his campaigning for Clinton failed, since there was nothing “terribly controversial” about it, according to one commentator from Risk Cooperative. “It was a fairly straightforward proposition. I saw the interview. I didn’t think there was anything terribly controversial about it,” Daniel Wagner, managing director, told RT. “There are a lot of people who have never got out of the Cold War mentality and continue to believe that Mr Putin is the bogeyman and everything he does again is bad, and anything that is done by other people is good,” he added. 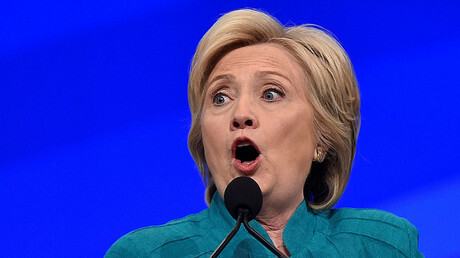 Throwing around words and accusations during the election season is a “dangerous thing to do” and “certainly doesn’t help set a useful stage” for later on after the election is over, Wagner noted.